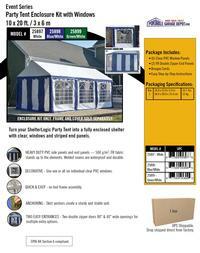 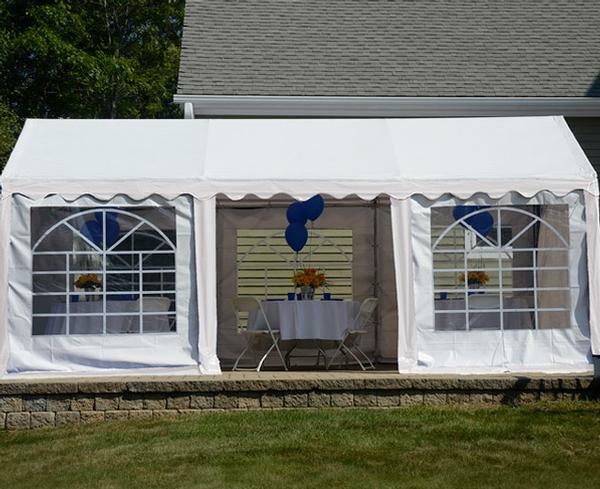 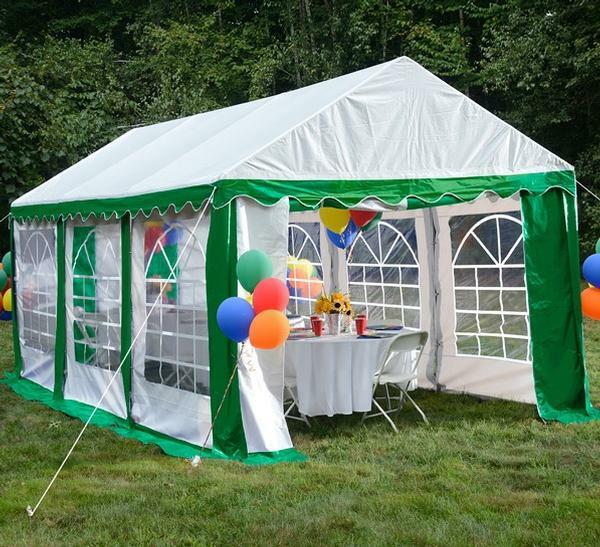 Turn your ShelterLogic Party Tent into a fully enclosed shelter with clear windows and striped end panels. 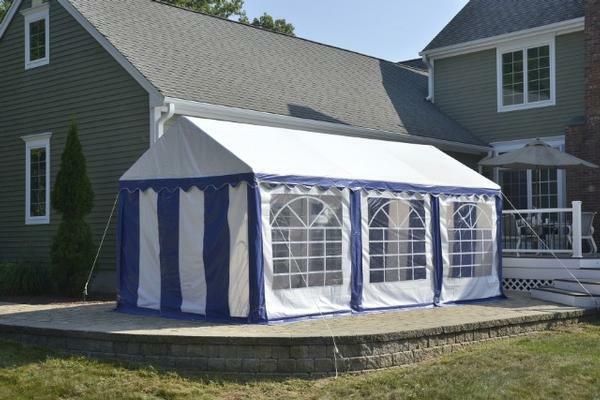 ENCLOSURE KIT ONLY. FRAME AND COVER SOLD SEPARATELY. This enclosure kit will only work with our model #25887 canopy and will not fit any other models.